Who or what is Hamtaro? 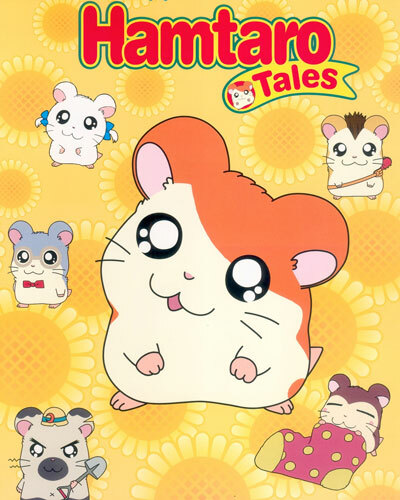 The cute and cuddly pet of fifth-grader Laura, Hamtaro is a golden hamster with an insatiable curiosity. Together with the "Ham-Ham Friends", a bunch of hamsters as clever and unique as Hamtaro himself, Hamtaro lives each day as a whole new adventure... complete with fun, excitement, and friendship. Hamsters have a long history of popularity with children everywhere, and in Japan recently they've become especially so. At the heart of the excitement is creator Ritsuko Kawai's hugely popular manga series, Hamtaro Tales from Shogakukan. Never before has a comic book series achieved such success without the promotional support of an animated TV broadcast – a strong indicator of Hamtaro's undeniable, cross-market appeal.